moses is using Smore newsletters to spread the word online. Here, one can learn about the religion of Islam. Muhammad was born to Hashim family in the Quraysh Tribe. His father died at his birth. The same angel that told Mary her son was going to be a prophet told Muhammad’s mother to name her son Muhammad. His mother then dies at the age of six and he then is raised by his uncle Abu Talib. Muhammad grows older and starts working for a wealthy widow, then he marries her and they have 7 children. All of his children die except 1 girl whose name is Fatima. His first revelation was in 610 CE when he was traveling to his favorite meditation place called Mount Hira. He starts telling his friends and family about his revelation when his neighbor who is wise and has a good reputation says Muhammad is chosen by God and people start to follow Muhammad. One night he was taken on a night journey where he saw the 7 levels of heaven. He also met all of the Jewish and Christian prophets, but most importantly he met Allah which is how he calls God. Muhammad wanted to destroy idolatry and pagan religions. His teachings went against the religion around him so that caused the civilians around his to be angry at him. The most powerful family in his tribe was the one who protected him. When the leader died the new one told muhammad that they were not going to protect him any more. Muhammad then leaves his tribe and goes to Yathrib. The journey to Yathrib was called the Hijrah which was during 622 CE, both Jews and Arabs welcomed him to Yathrib. 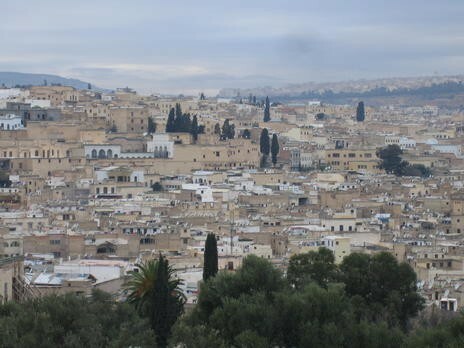 The city of Yathrib was close to a civil war and the people living there hoped Muhammad would fix the things, and they were right because he fixed the issue. Later Yathrib became an Islamic community and the city was renamed to Medina which translates into city of the prophet. Some conflicts that Muhammad faced in Medina was that he wanted everyone to convert but the Jews resisted. To try to win the Jews over he said that prayers should be done facing Mecca and he also said that Islam was not such a big change from Judaism. To finally fix the Jews not converting he just kicked the people who did not convert to Islam out. After this happened Islam started to grow in popularity. Other conflicts were that there was a constant battle between the Muslims and everyone else, mostly Pagan tribes and the Quraysh. Muslims won in the battles and that made more people want to convert because this proved Allah was real and was supporting them. One of the major battles was when the Meccans attacked Medina with the help of the Jews, but the Muslims won again and punished the Jews. In 630 CE the Muslims took over Mecca and destroyed all of the idols in the Kaaba and rededicated the Kaaba to Allah. In 632 CE muhammad leads pilgrimage to mecca and this becomes a tradition that happens every year, this pilgrimage is called Hajj, and this was his farewell pilgrimage because that was his last pilgrimage before he died. Muhammad died on June 8, 632 CE. All of his revelations were recorded in the Quran, and all of his actions are in the Sunna. 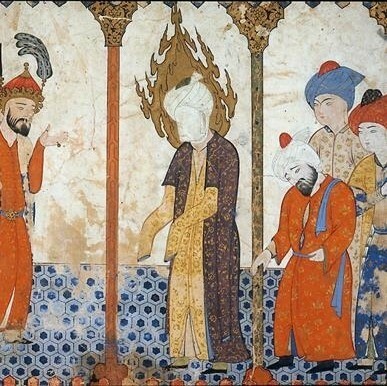 Muhammad has never been depicted because no records of how he looked are available, and between the Quran and the Sunna the Muslims base their lifestyle. The Five Pillars of Islam tell a Muslim how to live their life, give guiding principals, and show ways of proper comportment. The Five Pillars are Shahada, Salat, Zakat, Sawm, and Hajj. Shahada is the pillar that declares faith. A Muslim must say “There is only one God and Muhammad is his prophet”. Salat is the pillar of daily prayer. Muslims must pray five times a day and praying is required when Muslims reach the age of Tammez, which is the age where a child can tell right from wrong. A Muslim can pray anywhere and they can even pray on their own. All one needs is a clean space, a right state of mind, and face Mecca. Zakat is the pillar of charity. Muslims must give charity as a requirement of this pillar. Zakat is to be done to help the life and take a little bit of the burden off of the less fortunate. It is usually a percentage of a Muslim's annual income. Sawm is the pillar of fasting during the time of Ramadan. The Hajj pillar requires the Hajj pilgrimage which is once a lifetime to Mecca for a Muslim if they are able. It is a journey from different places to Mecca and a there are different rituals to be done along the way. There are five different steps and stages to be done where a Muslim must walk the whole time. There are three main holidays of the Islam religion. They are Ramadan, Eid Al-Fitr, and Eid Al-Adha. Islamic Holidays follow the lunar calendar so they will not be the same time each year. Ramadan is in the ninth month of the Islam Calendar and is one of the five pillars. Ramadan is 29-30 days based on the appearance of the crescent moon. Muslims have to fast from dawn until sunset and keep from eating, drinking, smoking, and having sexual relations. Ramadan is supposed to be a time of spiritual reflection and Muslims are supposed to improve their devotion to the religion. Eid Al-Fitr is celebrated at the end of Ramadan and is a feast celebrating the end of it. Muslims also give charity at this time. Eid Al-Adha is celebrated at the end of the Hajj and Muslims usually make a sacrifice of an animal and divide the meat from it and give it to the family, friends, and the poor. This holiday honors the Ishmael, who was the first born son of Abraham, who Muslims believe was saved by an angel when Abraham was about to sacrifice him. It is also known as the Feast of the Sacrifice. After Muhammad had been preaching his ideals for more than a decade, opposition against him grew and so, for their safety, Muhammad sent some of his adherents to Ethiopia so they would be safe under the Christian ruler there. However, back in Mecca, Muhammad’s followers were still persecuted. Muhammad sent many of his followers to Medina to escape persecution. Muhammad learned of a plot to take his life around 622 CE. So, Muhammad set off with his friend Abu Bakr al-Siddiq to travel with the emigrants to Medina. When the assassins had broken into Muhammad’s house, they found Muhammad’s cousin Ali in Muhammad’s bed instead. Enraged, they took off in pursuit of Muhammad. Muhammad and Abu took refuge in a cage where a spider spun a web over the entrance, when their pursuers came to the cave and saw the web was unbroken the Meccans passed on and then Muhammad and Abu went on to Medina where they were welcomed warmly. This was the Hijrah. The Hijrah is usually translated as ‘flight’ although this is not a perfect translation. The Muslim calendar starts with this event. Muhammad had gone to Medina in order to settle disputes between two powerful tribes. After the Hijrah, Muhammad’s qualities so impressed the Medians that the rival tribes closed ranks against Muhammad and a series of battles broke out. The first battle, called the battle of Badr, had important repercussions. The Muslim forces were outnumbered 3 to 1. When the Muslim forces won, this impressed a great deal upon the enemy forces the power of Islam. Also, the discipline of the muslim forces greatly impressed the rival tribes. And finally, one of the tribes that claimed loyalty to Islam but did not help when fighting started were expelled from Medina, serving as a warning to others. Loyalty to Islam demanded full loyalty. Green- Green is used in many things that have to do with Islam. For example flags, bindings of the Quran, etc. It was used on Muhammads tribe’s flag. The star and crescent- This was not appointed by Muhammad, but is often associated with Islam. It is also used on flags. There are two main branches of Islam. They are the Sunni and the Shia (also known as Shiite). The Sunni branch is the largest branch of Islam. It is considered to be the orthodox branch of Islam. They believe that laws should be derived from the Quran and the Hadith. The key beliefs of Sunni Muslims are the Six Pillars of Iman in addition to the Five Pillars of all Islam. The pillars are as follows: believing that there is only one God, believing in the existence of angels of God, believing that the books of God are the ultimate authority, being adherents of the prophets of God, believing and preparing for the Day of Judgement at the end of ones lifetime, and belief that God decides the good and the bad. The Shia/Shiite branch looks to Ali, Muhammad's son in law, as Muhammad's successor of the Islam religion. They believe that God chose Ali as the successor. There are three branches of Shia: Ithna Ashariyya (the largest branch), Ismalili, and Zaidi. Alevis, Alawis, and Druze are also branches of Shia, but are much smaller than the three main ones. The important figures of Islam include their God, Allah, and the prophets. Allah is the one God of Islam and is believed to be the ruler of heaven and earth. In Islam, Allah is able to do anything and is the ruler of everything. The prophets include Noah, Jesus, Abraham, Moses, and Muhammad. Noah is important because he was the one who was trusted by Allah to rebuild civilization after Allah destroyed it. In the Quran, Jesus is specifically mention as the son of Allah. Also, according to the Quran, Jesus did not die and is going to return to help the human race in the future. Abraham is essential because he was the first person to be spoken to by Allah and spread not praying to idols. Moses is important because he showed the miracles and power that Allah can do and has. Muhammad is the last prophet and has the highest spirituality in Islam. Muslims believe that God spoke to him to spread the Islam way of life. Islam means to submit freely to the will of Allah. Allah is the name of God in Islam. This submission should come from love and trust, not from fear. Allah is not a God specific to Islam. He is the God of Judaism and Christianity. In Islam, the Prophet Muhammad is the Messenger of Allah. He received the word of Allah through the angel Gabriel. The Qur'an is the collection of the revelations of Muhammad, unchanged from the original documentation. A Muslim can be a man or a woman who believes in Allah and Muhammad as his mesenger. Not all Muslims are Arabs and not all Arabs are Muslims. Arab refers to a race of people and Muslim to the followers of Islam. An Arab can be of any religion just as a Muslim may be from any race. In fact, Arabs make up only 18% of the total Muslim population today. Islam is a simple and practical religion. It has clear guidelines and views on subjects. It supports decent society. It does not demand a level of goodness that is impossible in its followers either. Islam preaches peace, mercy, justice, tolerance, equality, love, truth, forgiveness, patience, morality, sincerity, and righteousness. Above all, Islam teaches the Oneness of God, mankind, and the Message. There is ONLY one supreme god, Allah. The Oneness of God also includes the oneness of Lordship, Worship, Names and Attributes. Allah is the only creator, provider, and the commander. Allah is the only God who should be worshiped and obeyed as detailed in the Qur'an. Allah is perfect and both his names and attributes are perfect. Perfect attributes and names belong solely to Allah. Muslims belive that Allah does not sleep, get tired, or die. Allah does not have weakness or weariness. Muslims do not believe that humans are made in the image of Allah as opposed to the views of Judaism and Christianity. Muslims do not believe in an intermediary between any person and Allah. They believe that any follower can directly supplicate to Allah. There are no priests or holy men in Islam. There are scholars however whose job it is to truthfully explain Islam to others. They act as advisors. All people are equal in the eyes of Allah. There is no superiority over one another for any reason. The only exceptions to this are for piety and righteousness. Muslims must respect all mankind, regardless of religion, race, or any other quality. People should not be judged by factors that they do not have a choice over, such as gender, color, race, etc. Islam teaches that this diversity reflects the richness of Allah's mercy and the beauty of his creation. Islam teaches people to be moderate. People should not give up this life for the afterlife or give up the work for the afterlife for this life. Muslims believe that Allah sent messengers to mankind throughout history and to many nations. All of these messengers had the same message: worship the One Supreme God and obey His commands. Muslims believe people are innocent of birth and do not bear the mark of others' wrongdoings. They are only held accountable for wrongdoings after puberty and when they know the difference between right and wrong. Both Adam and Eve were equally tempted and both sinned equally. Both repented and Allah forgave both of them. Everyone is responsible for themselves alone and not others, not even if they are kin or a spouse. Both go together to be granted salvation through Islam. The verbal pledge that there is no deity but Allah, and Muhammad is His messenger. It is the duty of all Muslims, after reaching puberty, to perform five Salats, prayers, at specific times during the day and night. These times are Dawn, Noon, Afternoon, Sunset, and Night. The ritual of Wudu, cleaning of the boyd, is a prerequisite to Salat. Fasting during Ramadan is from sun up to sun down. It is the obligation of adult health Muslims. Fasting is not eating, drinking, smoking, gum chewing, intimate relations, and taking anything into the body. If somebody is ill and requires medicine, they are not required to fast. Fasting is also a time to show self discipline and abstain from bad behaviors such as argument and being mean to a fellow person. Women who are pregnant, menstruating, or nursing are exempt from fasting as well. When a Muslim cannot fast, they will make up for it by feeding the poor one meal for each day of fasting missed. Zakat is an obligatory charity that occurs once each year on every Muslim who possesses over the previous year more money or property than meets their minimum needs. 2.5% of excess wealth is the requirement. It is considered a tax because it supports government workers. Once in every Muslim's lifetime, they will make a pilgrimage to Mecca, Saudi Arabia if they are financially able and physically able. The Hajj begins during the 12th month of the Islamic calendar, Dul Hejja. During the Hajj, Muslims forget worldly things and devote time and attention to Allah alone. There is one unique god, Allah, who should be worshipped and his commandments should be obeyed. Allah created unseen creatures like Angels. Muslims believe in their existence, names, tasks, and descriptions. These are detailed in the Qur'an and the Sunna. Muslims believe that Allah revealed books to mankind through prophets. These prophets included Abraham, David, and Jesus, as well as Muhammad. Muslims believe that Allah sent prophets to mankind as messengers. Muslims believe in their existence, names, and messages. Prophets do not however, have divinity. The world will eventually come to an end and everything will be annihilated. The dead will be resurrected and all will be judged with perfect justice individually. Allah will reward the righteous with paradise and either forgive whom He pleases of those who disobeyed or punish them with hellfire. Women are viewed as equal, mature, and capable. Without which, a family cannot exist. Islam teaches that men and women are of equal worth and value as Allah's creations. In Islam, women are treated with full respect and honor.Marriage cannot take place without a female's consent and a dowry is given. The responsibility to provide for a family is the husband's and the responsibility to care for the house and raise children is the wife's. These are the main priorities but cooperation is required between a husband and wife. The Free Encyclopedia, Wikipedia. "Shia Islam - Wikipedia, the free encyclopedia. "Wikipedia, the free encyclopedia. N.p., n.d. Web. 12 Dec. 2012. <http://en.wikipedia.org/wiki/Shia_Islam>. The Free Encyclopedia, Wikipedia. "Sunni Islam - Wikipedia, the free encyclopedia. "Wikipedia, the free encyclopedia. N.p., n.d. Web. 12 Dec. 2012. <http://en.wikipedia.org/wiki/Sunni_Islam>. Halabisaz, Ahmad. perform Eid al-Fitr prayers. 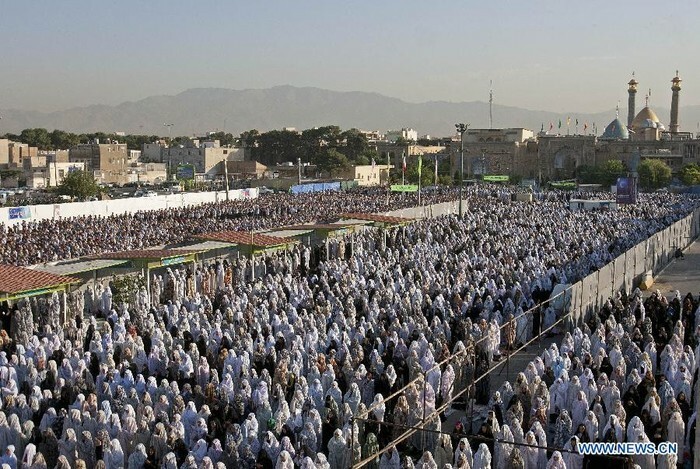 N.d. Iranian Muslims perform Eid al-Fitr prayers, Iran. Xinhuanet. Web. 12 Dec. 2012. Religions 2, World. "Islam; Key Figures. "World Religions Summative ISU. N.p., n.d. Web. 12 Dec. 2012. <http://worldreligions2.tripod.com/id17.html>. "Emotional Quran Recitation with Arabic and English. Shaykh Moutasem al-Hameedi 3:14-32 - YouTube."YouTube. N.p., n.d. Web. 13 Dec. 2012. <http://www.youtube.com/watch?v=tVMaWpzGinY>. "Mohammed Image Archive." zombietime. N.p., n.d. Web. 12 Dec. 2012. <http://zombietime.com/mohammed_image_archive/>. "Shiite and Sunni: What are the differences? - What are the origins of the Sunni and Shiite sects? - CSMonitor.com." The Christian Science Monitor - CSMonitor.com. N.p., n.d. Web. 12 Dec. 2012. <http://www.csmonitor.com/World/Middle-East/2012/0115/Shiite-and-Sunni-What-are-the-differences/What-are-the-origins-of-the-Sunni-and-Shiite-sects>. "SoR - Pillars of Islam song - YouTube." YouTube. N.p., n.d. Web. 12 Dec. 2012. <http://www.youtube.com/watch?v=f7pBGqMvN0o>.